thinking of purchasing your first air-purifier? 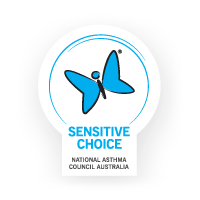 Ausclimate’s award-winning range of world class WINIX air-purifiers are the ideal solution for cleaner, healthier indoor air. Ausclimate’s air-purifiers remove a wide range of airborne pollutants, helping you to breathe easier & feel better. They also bring a very welcome relief to Asthma and Hay Fever sufferers. Easy to use ‘set and forget’ features with the most advanced PlasmaWave™ technology & air filtration systems available in Australia. Winix truly are the most complete air-purifiers on the Australian market! The WINIX True HEPA Air Purifier with PlasmaWaveTM Technology effectively removes particles as small as 0.3 microns (μm) with 99.97% efficiency. Remove airborne dust: Dust is a common trigger for asthma, allergies & other respiratory symptoms, worse when stirred up after sweeping & dusting. Remove mould spores: Mould is one of the most common & harmful allergens that can cause serious threats to your family’s health. Remove dust mite allergens: Dust mite allergies make it difficult to breathe and may trigger asthma and other respiratory symptoms, such as coughing, wheezing, shortness of breath & tightness in the chest. Household pets: Remove pet hair, dander allergens & odours from the home. Pets and people can live comfortably & safely together by thoroughly filtering the air in the home. Remove pollens and other airborne particles: Seasonal pollen & allergens can cause breathing problems, sneezing, itchy skin & sore eyes to sufferers of Hay Fever and Asthma. Remove odours & VOCs: Cooking, pets, cigarette smoke, unpleasant smells and harmful chemical vapours & gases (VOCs) are removed using a quality air purifier with multiple stages of air filtration. Viruses & bacteria: Filter harmful viruses, bacteria & other contaminants to protect the health of the young & elderly members of your family. Energy efficient: Environmentally friendly, very low power consumption. Quiet: Extremely quiet, ideal while sleeping.